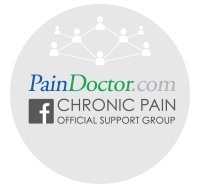 Home/Inside Pain Blog/Chronic Pain And Anxiety – What’s The Connection? Chronic pain and anxiety are deeply connected conditions that often feed upon each other. While researchers found that those with chronic pain are more likely to have anxiety, new studies are also looking at the prevalence of anxiety in general in the U.S. and how that might even be causing chronic pain. While patients with anxiety are more likely to have chronic pain and patients with chronic pain are more likely to suffer from anxiety, the reasons for this were not well-known. Researchers at the University of Toronto have discovered that the answer may lie in the anterior cingulate cortex (ACC). The neurons in this region of the brain deals with learning and memory. To the brain, both chronic pain and anxiety are learned behaviors in that patterns develop over time. The way patterns develop into connections is called Long Term Potentiation (LTP). Of the two, pre-LTP is less studied, and Dr. Min Zhuo and his team found that the presence of pre-LTP was a good indicator of chronic pain (as opposed to acute pain, which has both pre- and post-LTP). That both pre-LTP and post-LTP are present in anxiety and chronic pain is a novel connection that researchers continue to explore. When Dr. Zhuo and his team made this connection they realized that people with anxiety also had increased amounts of pre-LTP. The team also found a new analgesic molecule, NB001, that blocks the release of pre-LTP, effectively reducing pain. Other researchers at the University of California – Irvine have found that brain inflammation caused by chronic pain can be a trigger for anxiety. Catherine Cahill, associate professor of anesthesiology and perioperative care at UCI, Christopher Evans of UCLA’s Brain Research Institute, and their colleagues found that brain inflammation in the region that affects mood and emotion in chronic pain patients led to an increased incidence of depression and other mood disorders. This brain inflammation caused the growth of microglia to speed up. Microglia are neurons that suppress the release of dopamine, the brain’s “feel good” hormone. This response may explain why opioids are not generally effective in treating chronic pain, especially pain due to inflammation. Opioids were unable to trigger the release of dopamine in laboratory mice with an increase in the level of microglia in the brain. Now that they know why brain inflammation caused by chronic pain can trigger anxiety and depression, Cahill and her team are focusing on further investigating the idea that pain causes significant changes in behavior that includes the development of mood disorders. The researchers looked at five common anxiety disorders – generalized anxiety, panic, social anxiety, post-traumatic stress, and obsessive-compulsive disorder – and found that in a preliminary screening, over 45% of chronic pain patients screened positive for one or more anxiety disorders. This is an incidence more than double that of the general population in the U.S. (just over 18%). Generalized anxiety (GAD): Characterized by excessive, chronic worrying over everyday things like money, bills, and health. Usually accompanied by sleep disorders, restlessness, irritability, and muscle soreness. Panic: Sudden, uncontrollable fear that triggers the fight or flight response. Social anxiety: Inability to remain calm and appropriate in social situations. Post-traumatic stress disorder (PTSD): Reactive anxiety triggered by flashbacks to a traumatic or sustained stressful situation. Other symptoms include hypervigilance, irritability, touchiness, and muscle pain and soreness. Obsessive-compulsive disorder: Chronic repetitive actions and motions. These are triggered by recurring thoughts that cause action (e.g., fear of germs leads to compulsive handwashing). The presence of anxiety in any of the 100 million chronic pain sufferers in the U.S. makes both conditions difficult to treat, regardless of the connection or which came first. As researchers continue to study the connection between chronic pain and anxiety in the body and the brain, it becomes clear that patients need proactive tools to manage both. Do you suffer from chronic pain and anxiety, and, if so, what tools do you use to manage these connected conditions?